Scientists and resource managers were interested in protecting delicate gorgonians when they designated a Sanctuary Preservation Area at Davis Reef. Davis Reef Sanctuary Preservation Area, located four nautical miles southeast of Plantation Key, is home to a range of well-developed gorgonians, or soft corals. Gorgonians include the animal colonies known as sea rods, sea whips, sea feathers, and sea fans. 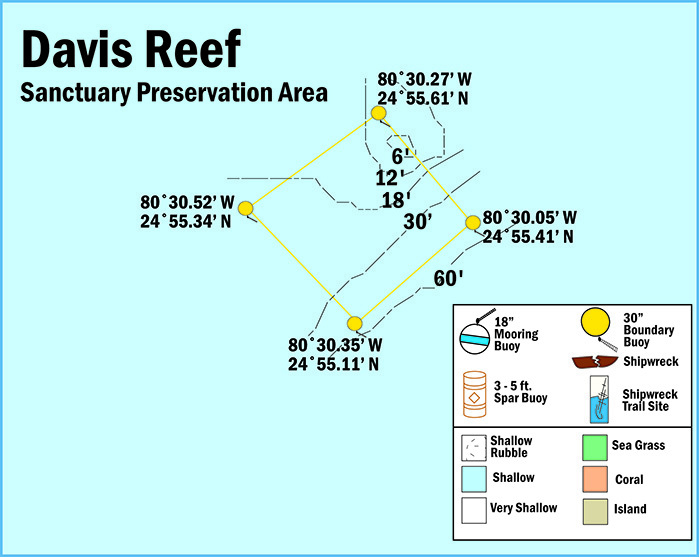 View a map showing the location of mooring buoys within Davis Reef Sanctuary Preservation Area.